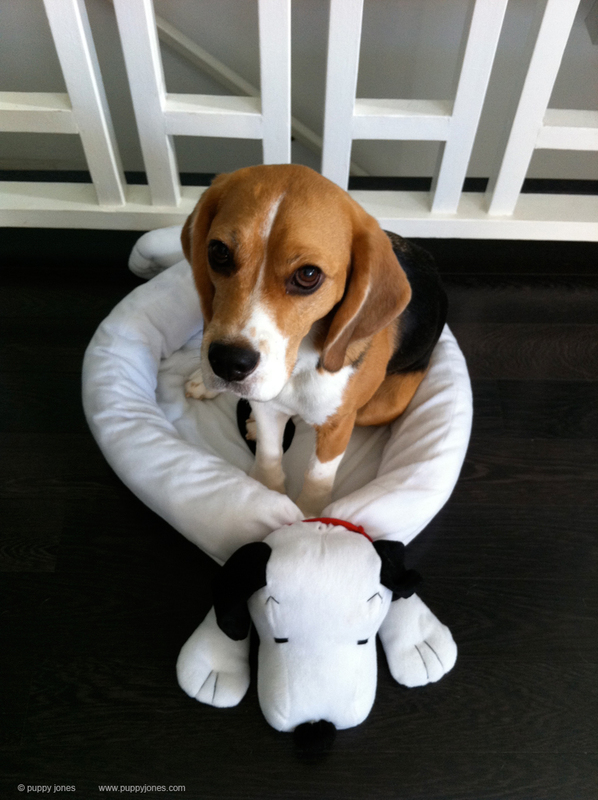 Lately on facebook we've noticed quite a few beagle friends with a really cute snoopy bed. We were so surprised and happy when our dear friend Sadie sent us one in the mail!!! 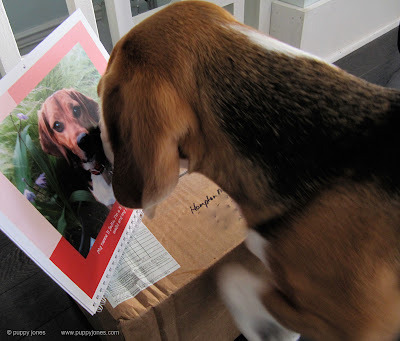 It was so unexpected and sweet, just like when Beggie sent us prezzies for her birthday. Hammie says this is the perfect size, just for me! but Hammie's nose got in the way (is he jealous?). 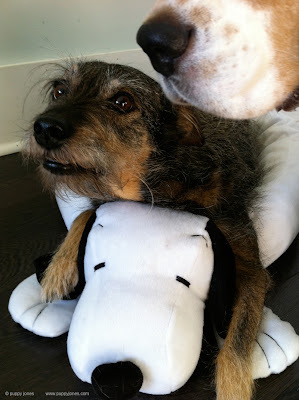 ZuZu shifts to the side so Mummy can get a good picture of her with Snoopy, BOL! Here we all are, Sadie, Snoopy, Hammie and ZuZu...is it time for treats now? 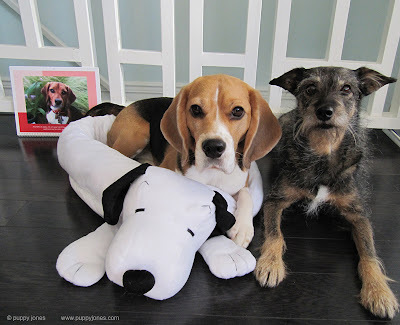 We are so thankful for our furiends on fb who are so thoughtful and send us prezzies like this. 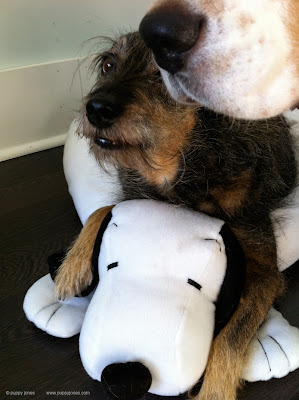 Lub ya Sadie & Mummy!